FREE DOWNLOAD: http://bit.ly/inside_ @VerseBorn, the valiant villain with venomous vernacular, sanctions the airwaves as #teamkonquest rocks alongside the midwest's musical monstrosity, @TechN9neMusic, on the exclusive new banger- "Inside". Both emcees deliver a captivating onslaught of lyrical mastery as they take a deep introspective dive into the realms of unstable minds. While touching on topics that hit close to home for many listeners, each artist paints a vivid image of the realities and tribulations many of us deal with on a constant basis. We live in a society where most people view those in need from a standpoint of judgment instead of from a place of understanding and empathy, allowing toxic frustrations to manifest in many forms. Stream "Inside" now to help you think twice before passing judgement on those going through turbulent times. 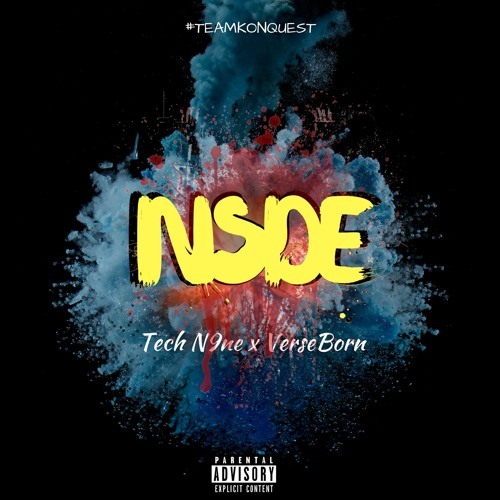 Download Tech N9ne x VerseBorn - "Inside"
Users who like Tech N9ne x VerseBorn - "Inside"
Users who reposted Tech N9ne x VerseBorn - "Inside"
Playlists containing Tech N9ne x VerseBorn - "Inside"
More tracks like Tech N9ne x VerseBorn - "Inside"